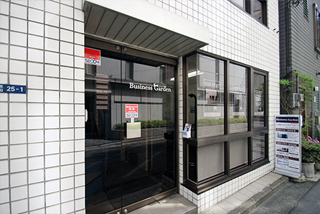 just a 6-min walking distance from JR Shimbashi station. 8 min. on foot from Karasumori exit at JR Shimbashi Station. Take Akarenga St towards Hamamatsucho. Turn right between Nisei Eblo Bldg. and T.Y Bldg. You will see “Hanko Super” on the 1st floor. We are in the 2nd bldg. from the corner, behind the T.Y. Bldg.